Dog training establishes communication, sets rules, boundaries, and consequences to bad behaviors. Call us today so we can help you start out on the best path with your canine friend. REPUTABLE DOG TRAINERS THAT OFFER DOG TRAINING, DOG AGGRESSION TRAINING, DOG BOOT CAMP, SERVICE DOGS, AND PROTECTION DOGS IN THE GREATER LOS ANGELES, SANTA BARBARA, AND VENTURA COUNTY AREAS. Dog's Live's Saved, And Counting! Hello, and welcome to our world, the world of dog training. Owning a dog can sometimes be a little challenging and includes a few responsibilities. With the proper training, we can help you to build your dog’s character and enhance your relationship with him. We hope you will take the time to review our website and view our pictures and videos. Whether you are looking for basic obedience training, or are in need of one of our amazing protection dogs, we look forward to speaking with you and getting started. Los Angeles dog trainers offering dog training in Los Angeles, Ventura County, Santa Barbara County, Orange County, San Diego County, the Central Coast, Northern California, Las Vegas, Sacramento, and more. SUMMER IS COMING UP FAST!!! Summer is coming and people are getting outdoors! It is very important to us that we train our client's dog for an off-leash lifestyle. We trainer all dogs here to be able to go off-leash and enjoy life without being restricted to a six foot leash. How sad would it be to never be able to run free and understand the concept of freedom? We have a few different options for you to choose from, Dog Boot Camp Training, Private Training, and Online Training! All programs have their pros and cons. Give us a call so we can discuss what program is best for you. WE CURRENTLY OFFER DOG BOOT CAMP TRAINING IN VENTURA COUNTY, LOS ANGELES COUNTY, SANTA BARBARA COUNTY, AND THE CENTRAL COAST! Dog boot camp training is a very popular dog training program that can render great results when done correctly. It is very important that the dog's owner follow through very precisely with what the boot camp trainer is showing them. Many people do not have the time, energy, patience, and strength to be training their dogs every day, that is what a dog boot camp dog training program is for. K-9 Behavior Services has been professionally offering their dog boot camp dog training program for over 20yrs! With a stellar reputation for training dogs for obedience, dog aggression, service dogs, and protection dogs, the company continues to grow and expand. Call today for more information on dog boot camp training, or any other dog training services you need. K-9 Behavior Services also serves Fillmore, Santa Paula, Ojai, Camarillo, Thousand Oaks, Simi Valley, Somis, Moorpark, Calabasas, Oxnard, Santa Rosa Valley, Woodland Hills, Malibu, Valencia, Carpinteria, Santa Barbara, and more! 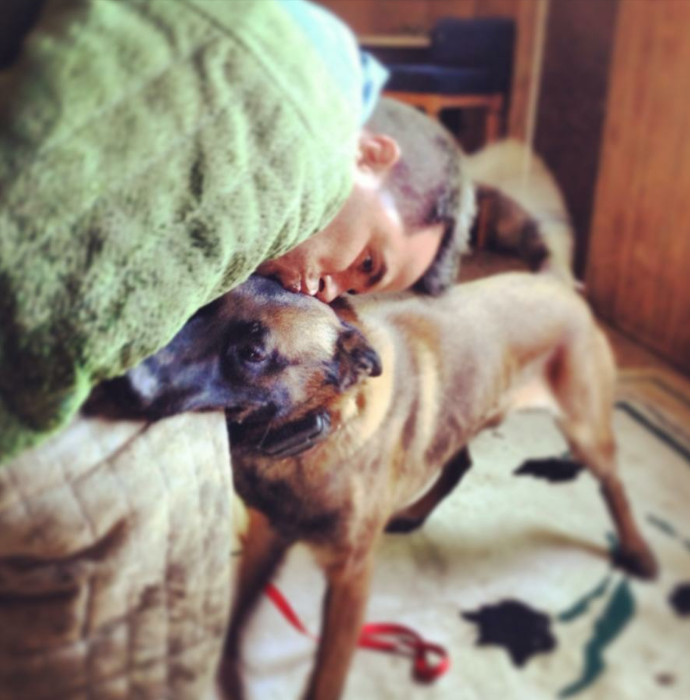 DEALING WITH DOG AGGRESSION TRAINING IN VENTURA, SANTA BARBARA, AND LOS ANGELES! Dog aggression is a growing problem in Los Angeles, Ventura, Santa Barbara, and Orange County, not only dog aggression towards people, but also dog aggression towards dogs. Dog owners are having a hard time dealing with aggression because so many wannabe dog trainers tell people to never correct their dogs and in some cases to actually ignore bad behaviors. Consequently, people feel that they are out of options and end up taking their dog to the shelter where it is often euthanized because of the aggression. The good news is that with a little bit of discipline, some rules, and boundaries, many of these dog's lives can be saved. It's very sad the direction that dog training in Los Angeles, Orange County, and Ventura County has taken recently. Many wannabe dog trainers don't have the knowledge or the courage to tell people the truth. Therefore, they tell people what they want to hear in hopes of getting a little more money out of them. The dogs end up being the ones that pay the ultimate price! WE DO NOT TRAIN DOGS THROUGH DOMINANCE, ALPHA, OR ANY SOCIAL STRUCTURE. HOLLYWOOD ONCE AGAIN CALLS UPON K-9 BEHAVIOR SERVICES AS THE AUTHORITY ON PROTECTION DOGS, DOG AGGRESSION, AND PROFESSIONAL DOG TRAINING IN LOS ANGELES!!! K-9 Behavior Services, Los Angeles dog trainer, Jeremy Talamantes, was called upon by one of television's most highly rated and very popular celebrities, Charlie Sheen! As usual, without a hitch, the filming was a huge success and Momo was a complete professional with all of the cameras and people around him. To date, this famous video has over 4,000,000 views. Momo, the world's most famous Malinois, can be seen crushing Charlie's arms with his world famous grips! Momo is a retired French Ring 2 Malinois. THE DO'S AND DONT'S OF TRAINING SHELTER DOGS IN LOS ANGELES. We have a huge problem in Los Angeles with the over population of dogs in our shelters. With 3,500+ dogs euthanized in our shelters in America every single day, not weekly, not monthly, not yearly, but every single day, we need to make some changes. I attribute a large portion of these deaths to inexperienced wannabe dog trainers that are preaching to and convincing our society to never discipline, never correct, and in some cases, never even say 'NO' to their dogs. We live in a world where there are consequences to our behaviors, and those consequences are what keeps us in check, this is simply a reality of life. Therefore, your dog needs to have some consequences to his behaviors also. There are too many wannabe dog trainers in Los Angeles that are giving bad advice and getting dogs killed. Call today so we can help you set some rules and boundaries with your dog so that he does not become a statistic. DEALING WITH BAD DOG TRAINERS IN VENTURA, SANTA BARBARA, AND LOS ANGELES! If you have recently dealt with a bad dog trainer in Los Angeles, Orange County, Santa Barbara County, or Ventura County and have spent thousands of dollars with no results, call me today so that I can help you with humane, effective, and responsible dog training. I get calls every week from people that have been torn at their heart strings by wannabe dog trainers that have, in some cases, even scolded them for the thought of using a corrective collar and actually applying some consequence to their dogs. It is these very dog trainers that you should call and demand your money back. If you are following their program and doing what they tell you to do, but you are seeing no reliable results, you should call them and demand your money back. I have stated it before and will state it over and over, a correction is not abuse. If you are the kind of person that allows your children to walk all over you, sit on the couch and eat ice cream and cake all day, watch television and play XBox all day, and never make them do anything, then I am not the right dog trainer for you. If you are the kind of person that believes that in life we must have structure and rules, a balance of work and play, and an overall logical understanding of how life works, then call us today and get on the path of coexisting with your dog and having a loving relationship built on love, trust, and respect.